To my surprise, some of the discounted blasters at my Target were bought out leaving just racing blasters there. Looking at the shelf, I had the choice of getting another Target re-pack, or an Upper Deck product of some sort. Last week's re-pack was pretty terrible, so I chose to go with the UD2 blaster today, let's hope for the best! 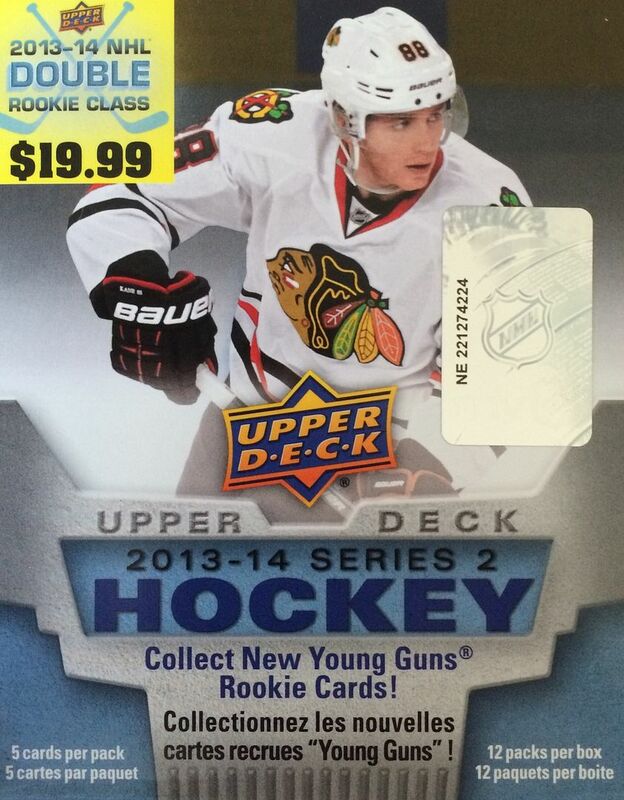 My previous few experiences with 13/14 Upper Deck Series 2 hasn't been great so far. I have found too many all-base packs in the blaster breaks I have done. I guess now that I know there are lots of all-base packs, and I'm expecting a lot of these all-base packs... that's fine. But I would like to actually pull something of note within one of these blaster boxes. I just haven't seen much from UD2 this year. 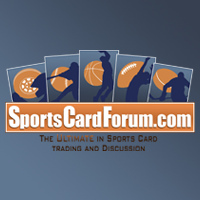 In fact, I have been having a tough time pulling any of the premier, top-level rookies from products of any sort! Maybe 13/14 just isn't my year to pull anyone big! The disappointing UD2 trend continues. The blaster didn't have any hits, just the standard smattering of inserts along with two Young Gun rookie cards. I was getting a bit scared that nothing would come out of the blaster as the first slew of packs were completely all-base packs. This blaster of UD2 really makes me question whether or not to keep up with UD2 blasters on into the future. My luck with them has been just terrible! The Target store does have UD1 still in stock. I might be better off getting some of those. The only thing positive about this blaster is that I did get the two Young Guns that were supposed to be in there. But for $20, I could have gotten so much more had I chosen to use that money on single cards I wanted. Markstrom had some popularity as a rookie a couple years back, but hobby interest in him is pretty cool at the moment. 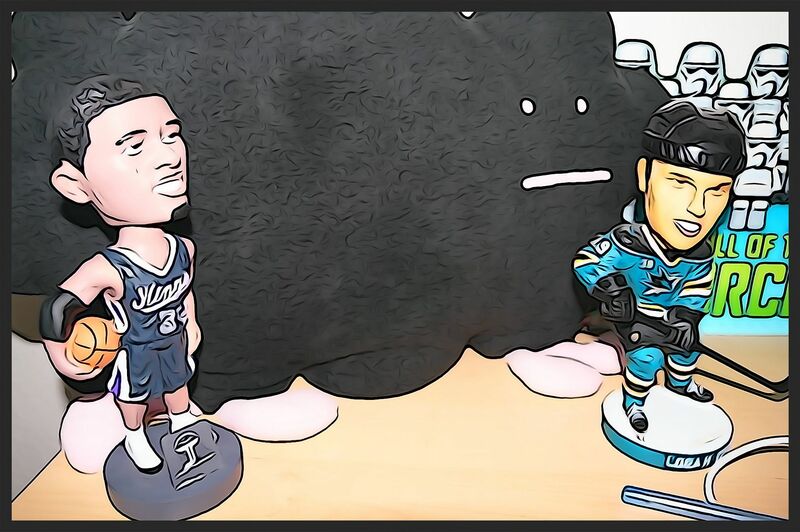 It doesn't help that he plays for the Panthers either. 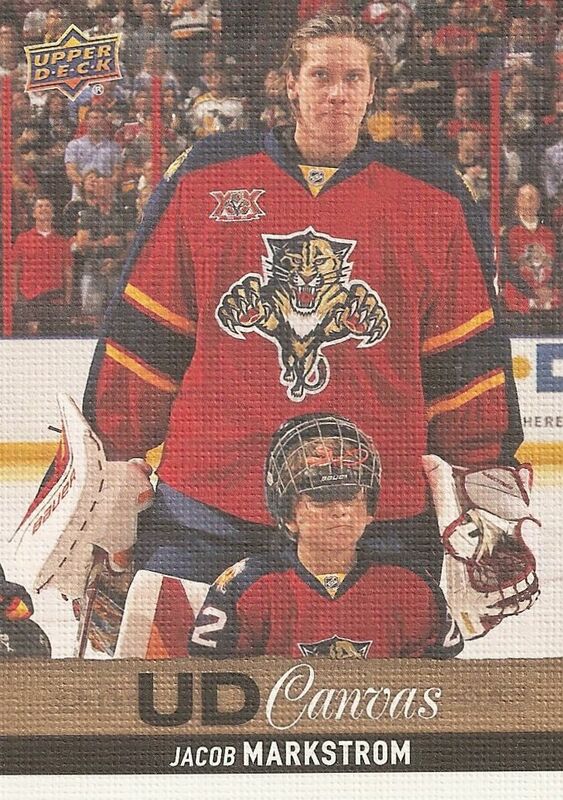 At least he has a cool canvas card that features him with a young boy. Is this his son? Not sure! For some reason I find it hard to pull Malkin cards, so even though this is just a simple MVP base insert card, I'm happy to have it. Malkin is a beastly player that is tremendously skilled. 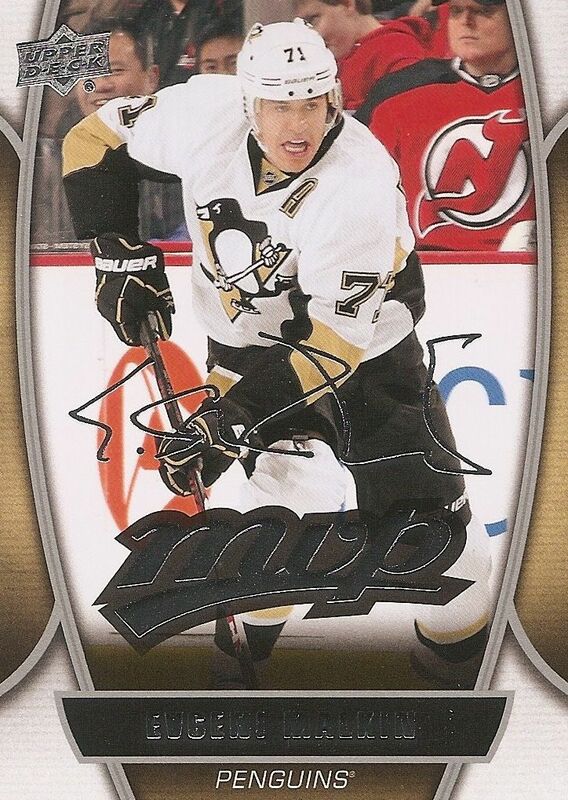 Getting Malkin cards is always a good thing. 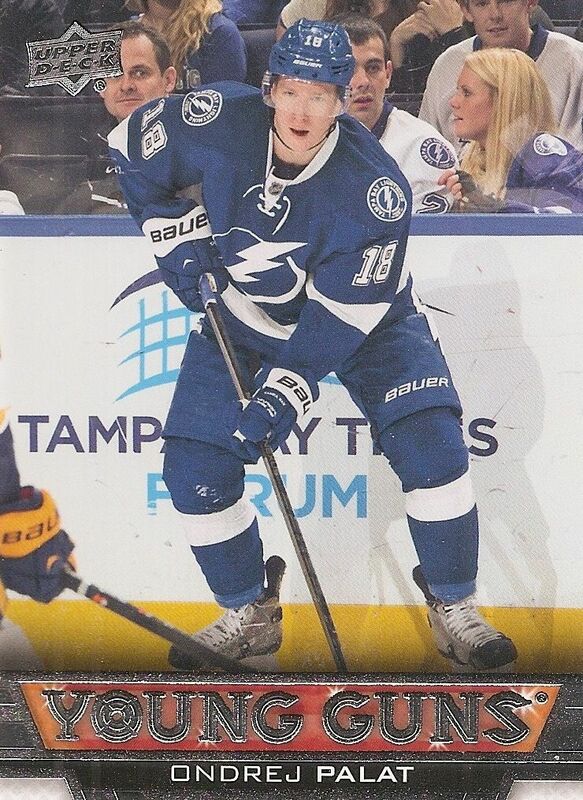 Palat was the better of the two Young Guns I pulled in my blaster. There is definitely some hobby interest in Palat so I'm glad I got him - could have been much worse! The blaster gave me everything that I expected, but nothing more. I'm glad for the Palat, but like I said earlier, as I look at these cards I cannot help but think the value is nowhere near the $20 I paid for it. 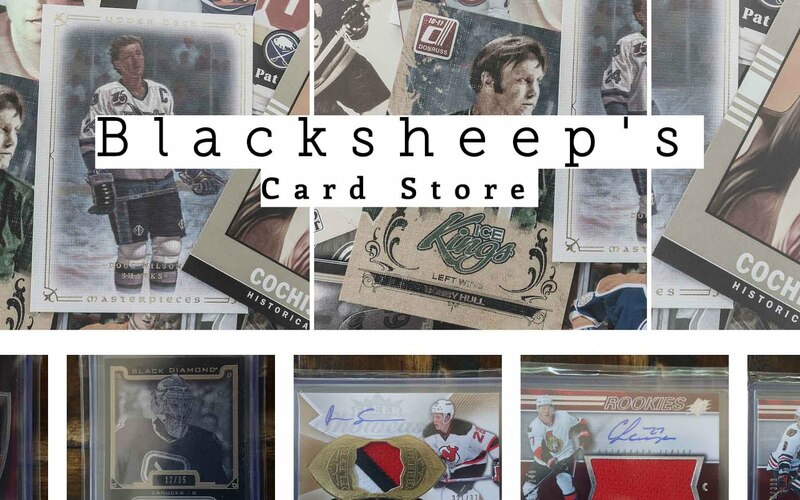 Hopefully the next break will have something nice in it... it's been a while since I've been excited about pulling something out of one of the retail products! Jacob Markstrom actually plays for Vancouver behind Eddie Lack. Luongo and Dan Ellis are with Florida.